1. How to log in and log out from HinduVivaha.com? You can find Login link at every page top right corner of HinduVivaha.com. Click here to login on HinduVivaha.com. 2. In case I forgot my Profile ID, how can I login to HinduVivaha.com ? HinduVivaha.com uses email address to allow you to login on. 3. Can I change my password? If I can, how to do it? After logging in, go to 'My Profile' page and click on Change Password link located under My Profile heading of left navigation to change your password. 1. How important is it to include a photo? A profile with photos generates more interest and increases your chances of getting contacted at least 10 times. A photo reflects your personality. Add photos that highlites your personality in various outfits and locations. 2. Photos along with the profile? Many safety measures and security checks have been devised in adding photos to Profiles. All photos are placed with HinduVivaha.com logo, watermarked, coded and made completely near 100% non-distortable. 3. How do I choose a best photo, are there any tips? Everyone knows that profiles with photos get way more responses. 4. Under what conditions a photo would be rejected? Showing body features like displaying chest, upper arms, partly and indecently dressed poses are strictly prohibited irrespective of the gender. 1. I cannot login to my account it says invalid login? Make sure you are entering your email-id and password correctly. Also make sure your Caps Lock is not on, as passwords are case-sensitive. 2. I have registered, but my profile is not available online why? Once you register your profile is then sent to our approval department to make sure that the text you have written in your profile and the picture you uploaded (if any) meets our ethical standards. Once approved, your profile is immediately released for general public viewing. The same process applies when you modify your profile text or upload a new picture. 1. What is Paid Membership ? Paid Membership of Hindu Vivaha.com confers a lot of privileges and benefits. It offers to the Paid Member a package of latest and advanced features to facilitate them to find a fitting life partner in the easiest way and in the shortest time. 2. What are my chances and is there a quick way to get noticed? New members come and go every day, to keep your chances high visit the site regularly and answer all your messages, keep track of all contacted members and when contacted try to answer it right away. 3. What are the advantages of having a FREE membership of HinduVivaha.com? 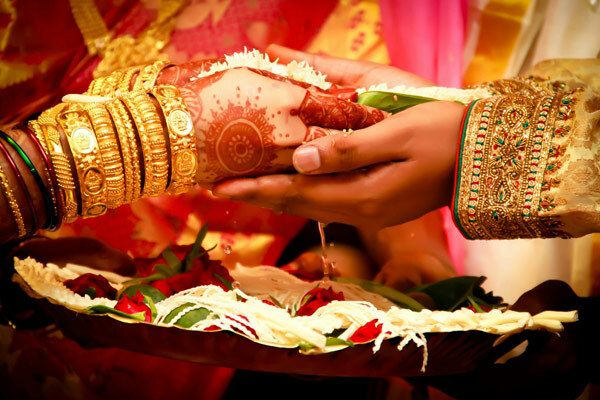 HinduVivaha.com is a free matrimonial website for the benefit exclusively of brethren and sisters. You can register with Hindu Vivaha.com and create your own profile absolutely free. By posting your profile on Hindu Vivaha.com, thousands and thousands of prospective Brides and Grooms looking for life partners all over the world will view your profile and will contact you through HinduVivaha.com, if your profile matches with theirs.